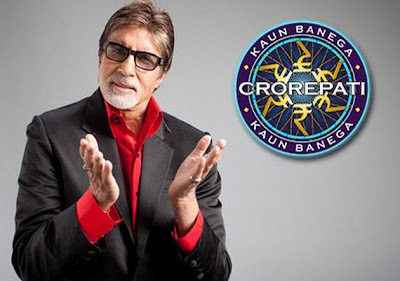 This article is all about KBC a fact and totally based on my thinking. 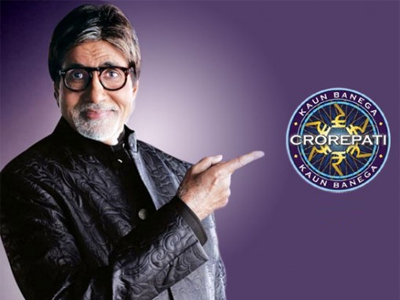 I have been observing this since from the last 5 seasons of kbc. lets see what is total money earned my KBC. Its 24 Lacks in 20 minutes... How? 6 rupees/sms x 100 entries x 10 cities x 20 districts x 20 states. Just imagine what if 1000 entries try out from 100 cities? the figure grows by 2 more zeroes and make a 24crores. and it does not stops here 1000 entries from 100 towns is not a big deal... in prictical it could be multiple of 100 or worst case a multiple of 1000 on an average..
in that case it is 24 x 100 crpres earning in just 20 minutes depend on every episode. smart Business by "Siddharth Basu". and the best part of this calculation is SMS earning. and think about the AD money? Everyone like to see someone winning such a Huge money and the way question are being answered my heart doubts its fixed? There is a strong reason to make it fixed. I mean look at all reality shows there all are seem to be pre-planed. Its a great fun to see a person wins rupees 1 crores belongs to a poor family and telling his/her reality story. If TRP increases, brand value will also increase, SMS sent will also increase. If you still doubt on my doubt why to fix whole game. Can't simpler question be asked or even difficult question be asked but they are related to the backgroung of the contestants. Mind it this is not only legally correct but also ethically correct. What is harm if more people are reaching around 25 lacks. Same as happen in Lottery. Then why lottery is banned. Basic idea is to let many people win huge amouint of money and turn get higher TRP, higher brand value, higher popularity, higher AD value, higher profit and so on. Where all the money is coming from? yes it costumers. So next time you are paying more price to a soap or any other product think about it. you are paying to reality shows even if you are not watching it. Hi to every body, it's my first pay a quick visit of this weblog; this weblog contains awesome and actually good data in support of readers. Hello, its nice post regarding media print, we all be familiar with media is a enormous source of information. is written by means of him as no one else know such designated about my problem. What's up, this weekend is fastidious in support of me, because this point in time i am reading this wonderful educational post here at my residence. ideal method of writing? I've a presentation next week, and I'm at the look for such info.